Steelwork lies at the heart of the London Wall Place development. As the SSDA awards celebrate their 50th year of recognising the best of what the UK steel construction industry can achieve, we celebrate that 77% of the projects feature STRUMIS customers. In this post we will be celebrating William Hare’s involvement in the 1 & 2 London Wall Place project. Steelwork lies at the heart of the London Wall Place development. It was decided early in the design process that the optimum superstructure solution for both buildings would be steel frames with concrete floors and concrete cores. “The scheme’s main challenge was to provide a solution for the buildings that could maximise the built floor area, while responding to the many constraints imposed by existing site conditions, planning views and rights of light,” says WSP Director Stephen Jackson. 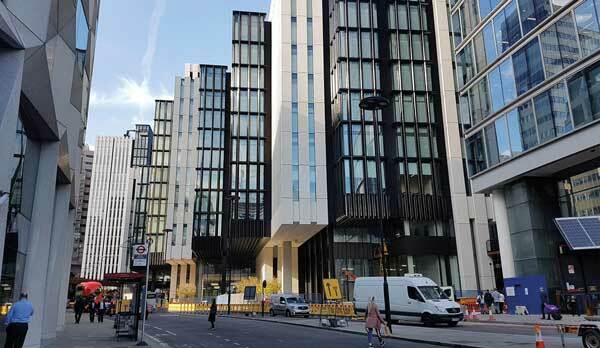 The largest transfer structure within 1 London Wall Place is 2m-deep and weighs 72t. The judges say the use of steel has been instrumental in enabling the two buildings to cantilever out over the existing road. A 5m deep mega-truss at level 2, with enormous steel members passing through it, offers the opportunity for a highly unusual new dining space.